Ooooh mama, this is a winner. I haven’t met many people in life who don’t like banana bread. Talk about comforting food that makes you feel like you’re at grandma’s house. 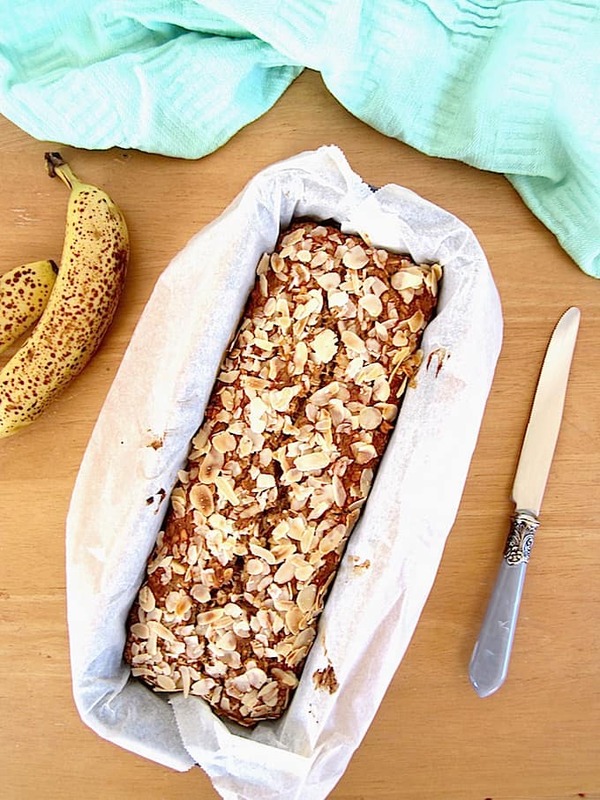 I used to go to my best friend’s house after school and whenever her grandma was visiting from France we could always count on yummy banana bread awaiting us for an afternoon snack. This particular banana bread is likely much healthier than your grandma’s banana bread, which probably used sugar, regular flour and butter. 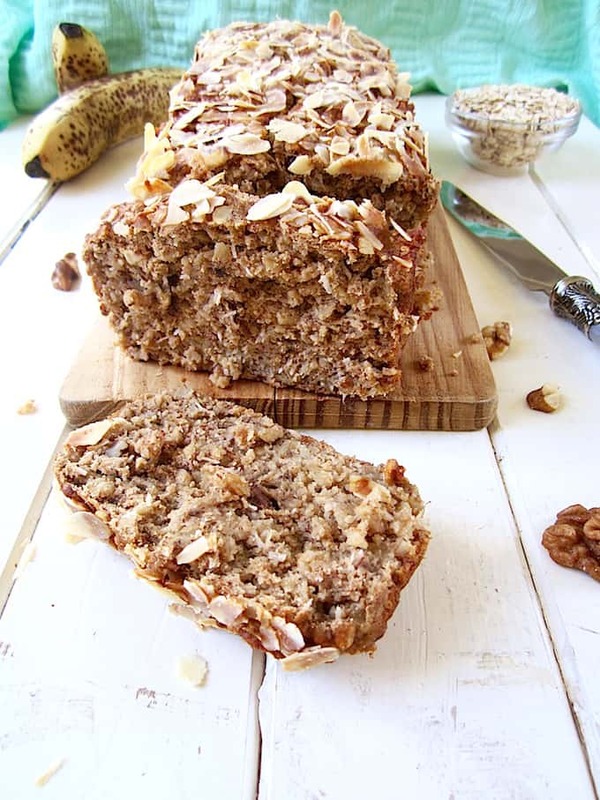 This healthy, veganized recipe has none of the junk, yet you’d never know it because the texture and taste of traditional banana bread shines through. It has that lovely banana bread balance of being moist and nicely (but not overly) dense. 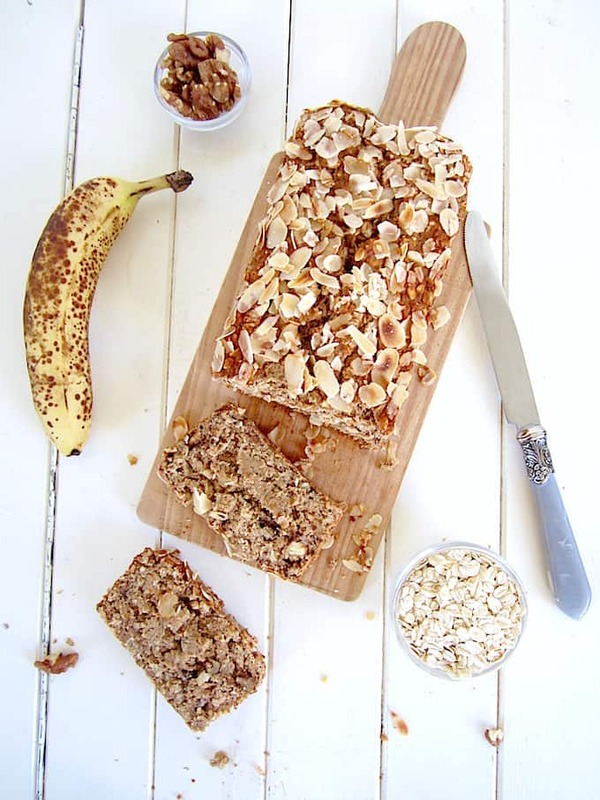 While a great snack or breakfast anytime of the year, it’s absolutely perfect for fall weather! Instead of regular white flour I incorporated millet flour and oats, for fiber and protein-rich healthy, whole grains. The combination of chia seeds, bananas and applesauce replace the moisture typically achieved with eggs. A mere 1/4 cup of maple syrup replaces the standard full cup of refined white or brown sugar. I think the sweetness is perfect in this recipe, but if you like a sweeter bread you could add another 1/4 cup of syrup or a couple tablespoons of coconut sugar. A note on protein powders in baking: not all protein powders create the same result. If you want to substitute a different type of protein powder for the rice protein, my guess is that pea protein or hemp would be your best bet. 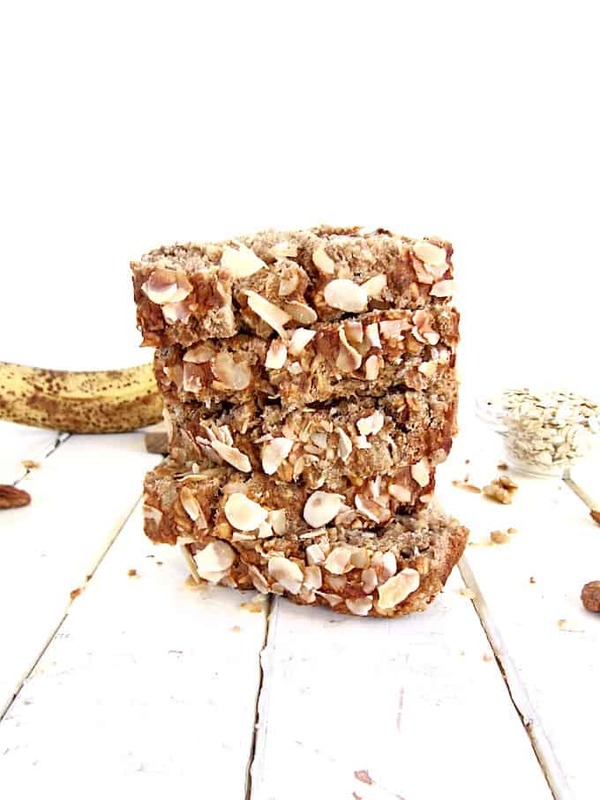 Here are some tips for baking with protein powders from Protein Pow. I used a natural flavor powder, but you could try experimenting with a flavored powder like vanilla, chocolate or chai. For this recipe, I used Pulsin brand Rice Protein . For other protein powder suggestions, see my Simple Everyday Protein Smoothie (Sugar Free) recipe where I suggest my favorite brands. What’s your favorite type of homemade bread? I’d love to hear in the comments below! 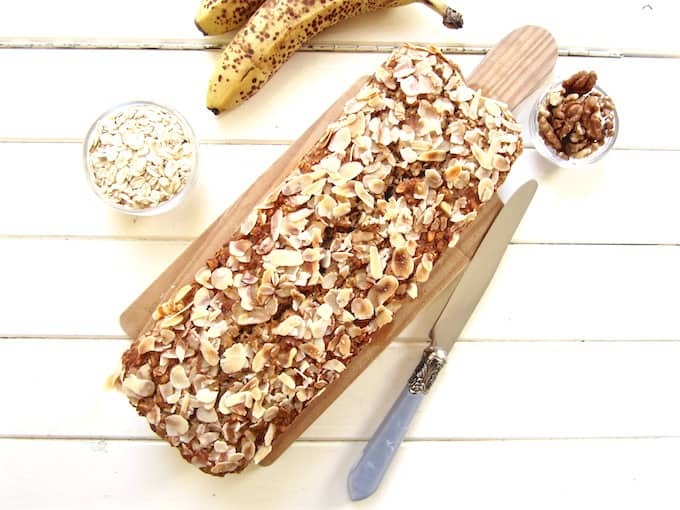 Easy & healthy one bowl Banana Nut Bread, with all the taste of traditional banana bread but much better for you! Protein packed with 7 grams per slice. Combine chia seeds and water. Place in the fridge for 15 minutes. Combine remaining ingredients in a bowl except for the nuts and coconut. Stir well. Stir in chia mixture from the fridge. Line a bread pan with parchment paper and pour in batter. Sprinkle sliced almonds on top, if desired. 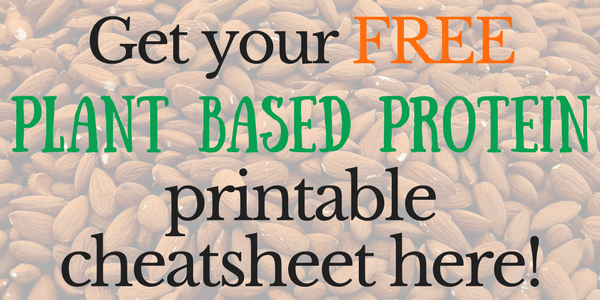 *If you want to substitute a different type of protein powder for the rice protein, my guess is that pea or hemp protein would be your best bet, but I haven’t tried those myself in this recipe. **I used a toaster oven - your bread may cook faster in a regular oven. If you want a sweeter bread, add another 1/4 cup of maple syrup or a couple tablespoons of coconut sugar. :D Me too Lara! Thanks for swinging by. 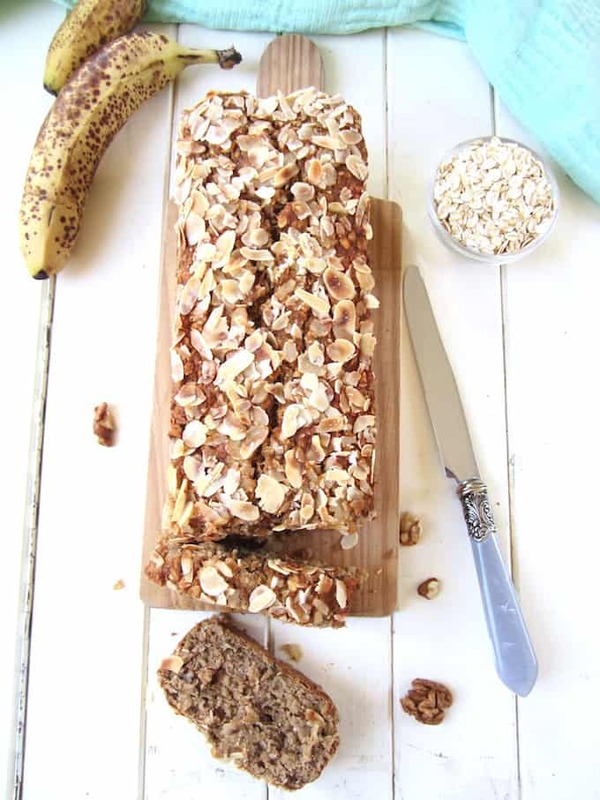 We all enjoyed this banana bread! My 11-year old gave it a 7 out of 10 stars, preferring it to be a little sweeter. I'll just put a little honey on his when I send it in his school lunch. :-) It took an hour in my regular oven. I didn't have any protein powder, so I just added a quarter cup of hemp seed instead. The bread is moist and lovely. Since school is a nut-free zone, I opted to sprinkle some granola on top of the loaf instead of almonds. Thanks for this great recipe! P.S. Hopefully the honey comment isn't offensive to anyone. 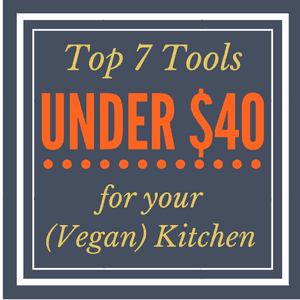 We're not vegan, but we enjoy these recipes! No offense taken Mindala :) I love the option of adding some sweetner on top for kids (or anyone for that matter!). Great idea subbing the protein powder for hemp seeds and the granola on top too! Thanks for trying it out and sharing your feedback!